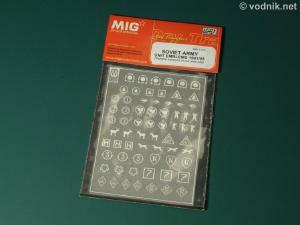 In addition to their excellent line of resin products, MIG Production offer a series of dry transfer sets. They are attractive alternative to decals and provide many useful markings mostly for WW2 German and Soviet vehicles, but there is also one set available for Russian tanks in Chechnya War. 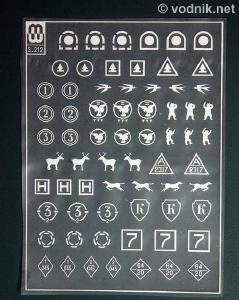 Reviewed here is the recently released set of divisional markings for Soviet vehicles used between 1941 and 1945. The dry transfer sheet is packed in a plastic zip-bag stapled to the card flap with product name label on it. The size of the sheet is 85 mm x 120 mm. There are no instructions specific for this set provided, but on the back of the card flap we get clear generic dry transfer application instructions in the form of nine small color photos. On the product label is following information "sample versions in our web site". Unfortunately this is not true, as there is no information on the MIG website about this set other than a small picture of it. No sample pictures are available. Generic dry transfer application instructions. 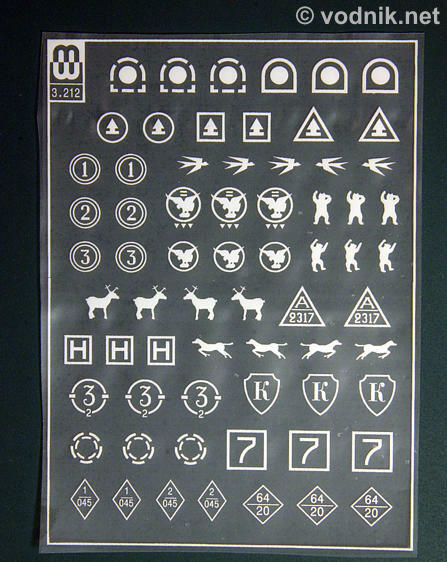 On the dry transfer sheet, designed by Konstantin Kulakovsky and printed for MIG in Russia, we get 67 white individual markings. For most symbols there are two identical items provided, for some there are three, to make a total of 27 different markings (although some are mirror images of the same symbol - probably for two sides of the vehicle). Markings are very well printed with crisp details, but all shapes have slightly uneven edges - in this case however it is an advantage as it makes them look more realistic. I did a quick test and applied part of the sheet white border frame (which is printed in the same way as all symbols, and can be used to add stripe markings to a model) to the test model painted with matt paint and had no problems whatsoever. Transfers stuck to the surface securely. My knowledge of WW2 Soviet armor is basically non existent, so I'm unable to comment on accuracy of provided markings. I tried to find some information on the Web about Russian divisional markings, but found nothing... 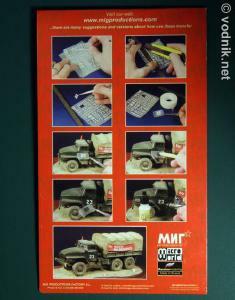 The lack of any usage instructions in the set means that modelers need their own reference materials to use these markings properly. It is disappointing that MIG did not provide at least some basic information, like numbers and names of units to which supplied markings belong. Reviewed set is very well printed and should cause no troubles in application. 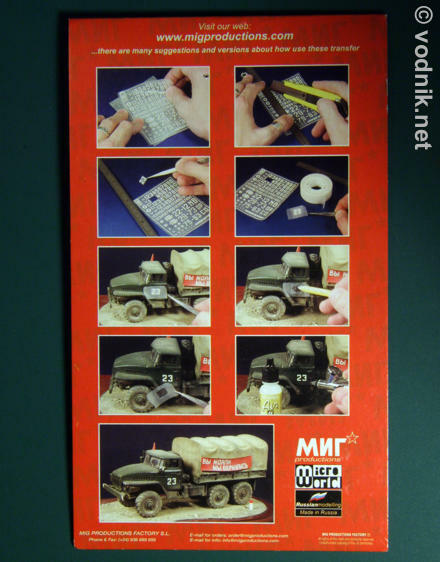 The lack of instructions however can be a problem for many modelers, who don't have good references on Soviet WW2 armor. For those who know exactly what marking they need and see them on photos in this article - there is no reason not to buy the set, as the manufacturing quality is very good - typical for MIG Productions.